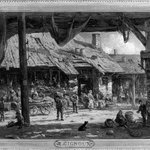 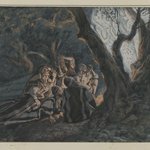 In his text, Tissot describes the slow, careful manner with which the Virgin, attended by other holy women, washed and dried her son’s wounds before the procession accompanied the body to the stone of anointing. 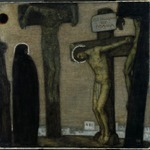 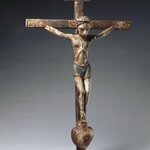 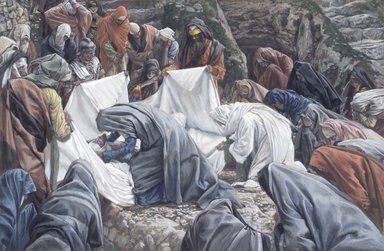 In this image, the body has been wrapped, according to Jewish custom, with linen bands before being placed in a series of shrouds, the last hiding the face. 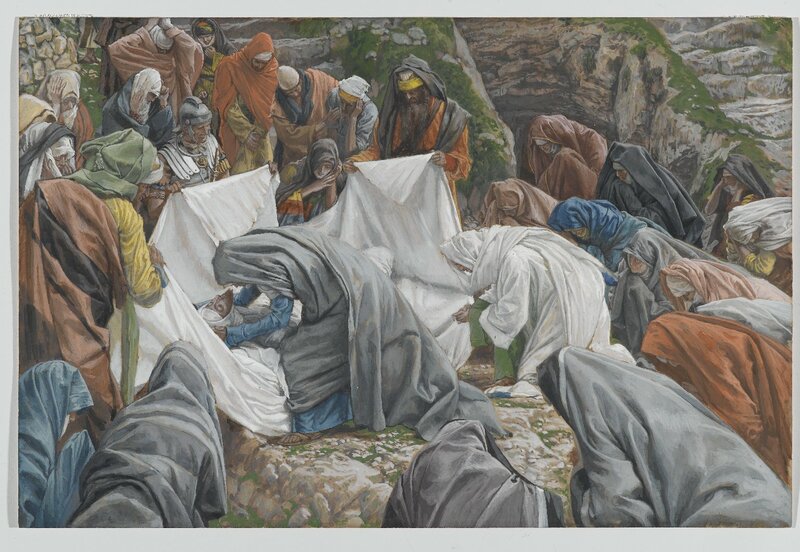 Before covering his visage, the Virgin gives her son a final kiss. 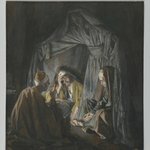 Unlike the images in the Passion, in which Mary sometimes gesticulates wildly, here she performs her duties quietly, indicating a calm acceptance of God’s will. 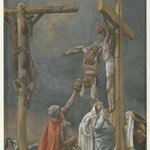 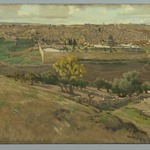 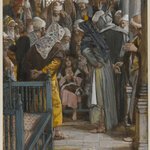 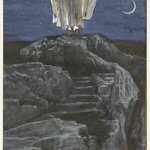 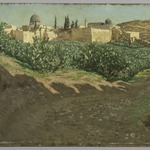 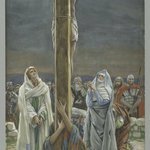 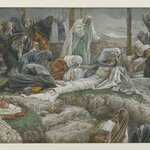 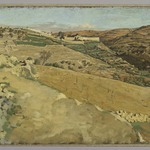 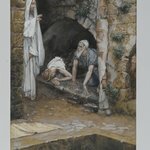 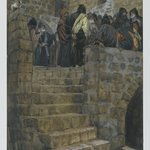 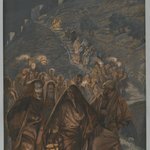 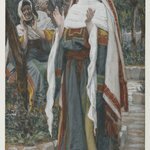 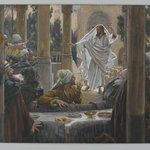 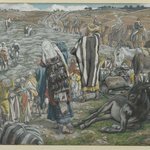 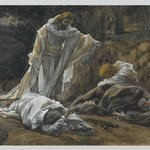 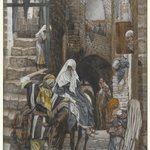 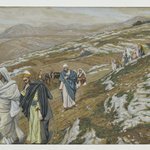 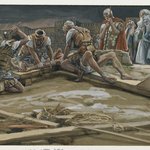 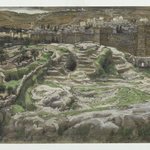 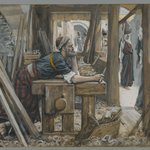 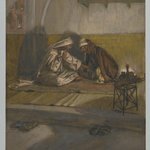 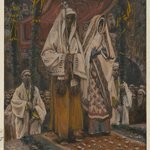 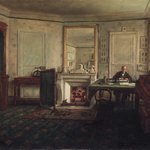 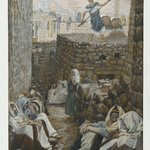 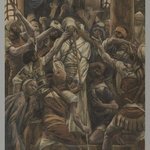 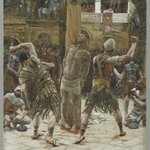 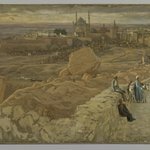 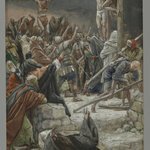 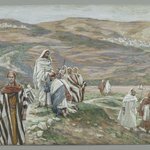 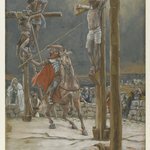 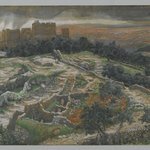 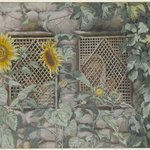 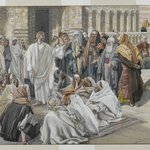 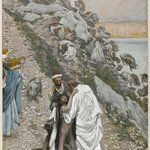 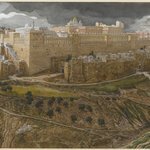 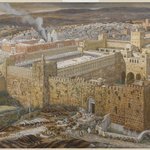 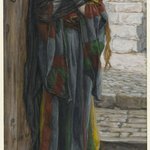 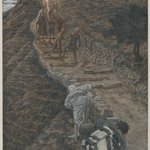 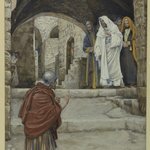 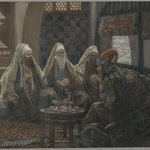 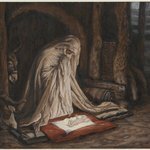 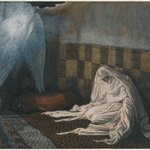 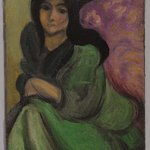 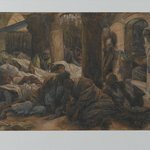 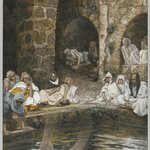 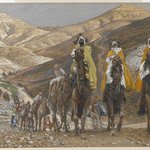 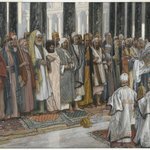 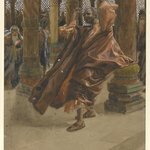 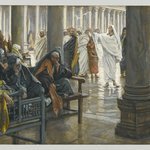 James Tissot: "The Life of Christ"